I have had the song “Common People” stuck in my head for the last couple of days. This video puts me in the mind of a glorious future where everyone is an intellectual, even the thugs. And this is just pure beauty. Have I mentioned how much I like Jonathan Coulton? I dig the kinetic typography too, and this one is really well done. Although, I think my favorite is still the one somebody did as an art project for the chemical burn scene from Fight Club. That video in particular struck me because it manages to convey the intensity of that scene in full measure using sound and arrangement of text. Really, you should just stop whatever you’re doing and spend the rest of the day watching videos on youtube. It’s the name of the band. Nobody is wearing black nail polish, I promise. 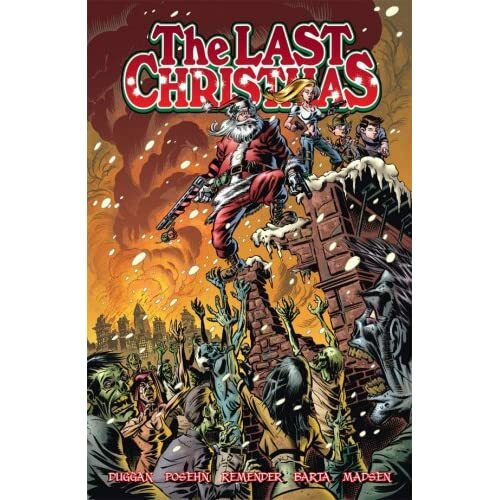 If you have any interest in seeing Santa try to drink himself into a coma in the midst of a zombie apocalypse, then I’d highly recommend it.